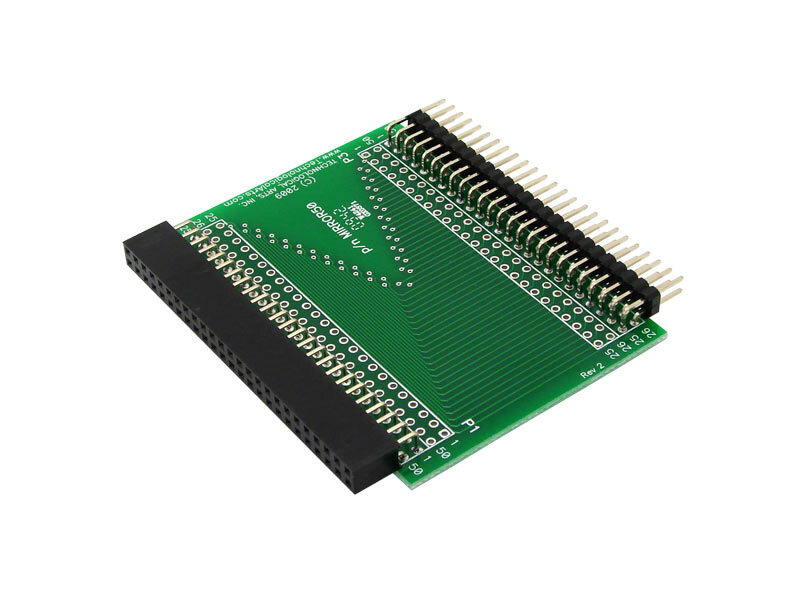 This adapter transforms older application cards to a mirror-image pinout so that they can be used in a planar configuration. 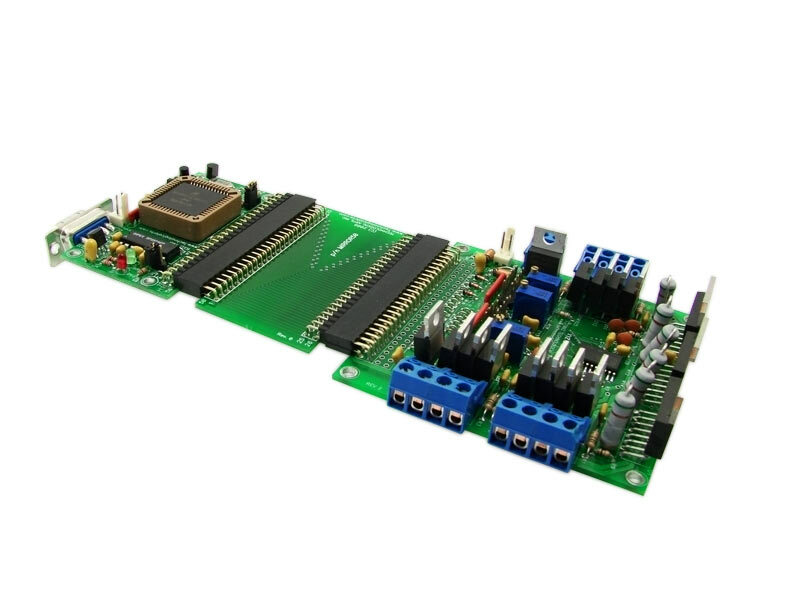 These boards plug onto H1 of your MCU card, via the MIRROR50 adapter. 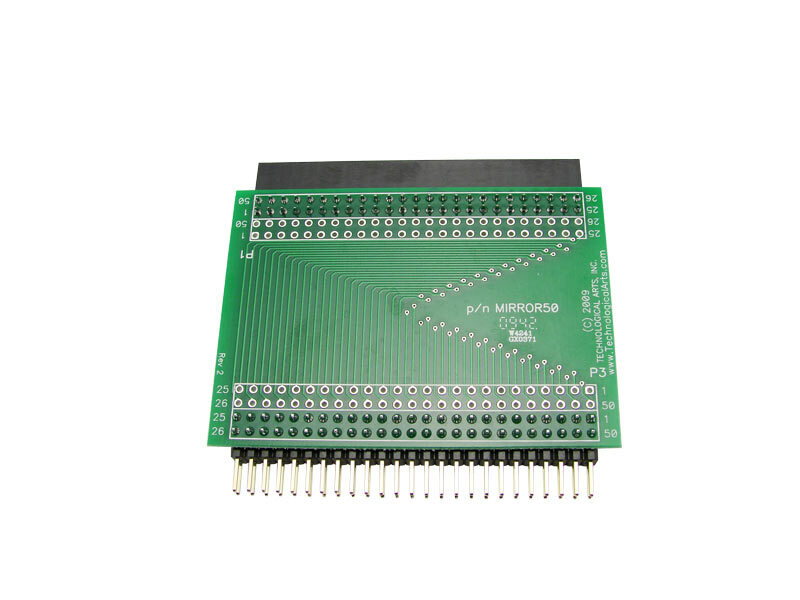 MIRROR50 has two connectors, P1 and P3, which mate with your MCU card and Application card, respectively. Choose the appropriate connector configuration for your application when ordering. 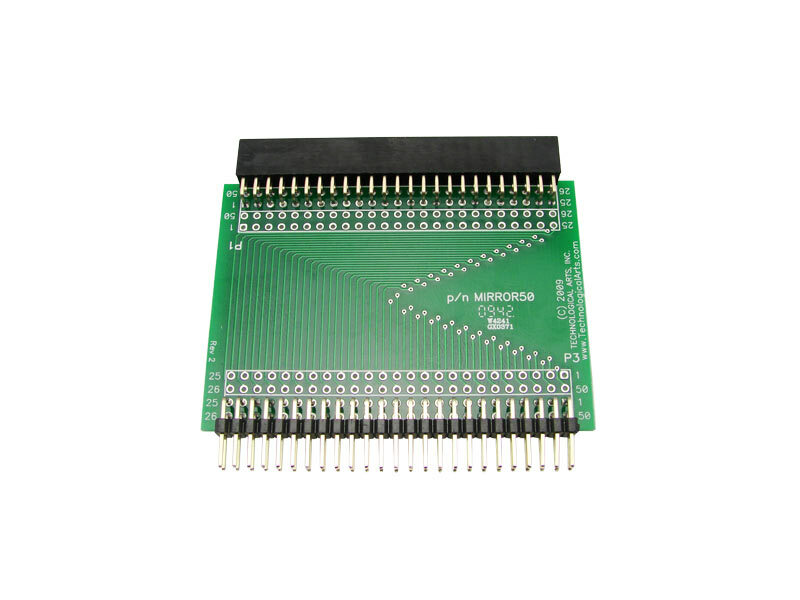 For example, if your MCU card has RA1 connector style on H1, you'll need a MIRROR50 with FRA1 on P1 and RA1 on P3. See photos for details.